I love HARO. If you’re not familiar, it is the free service started by Peter Shankman that rivals the traditional ProfNet method of getting leads for stories and promoting your product or service. I have been using Help A Reporter as both a journalist/blogger and a publicity seeker for 3 years, and have seen amazing results! My quotes and features have been seen in Better Homes and Gardens, All You, Family Circle, Shape, Reader’s Digest, and many more. I have secured radio interviews and even conference speaking engagements! If you are not using HARO yet, you are missing out. Many companies are diligent about adding HARO to their PR repertoire, but they don’t go about it very well. 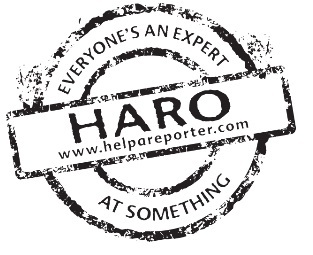 I will share the top 5 tips for making sure your pitches are read and used by the reporters using HARO – guaranteed. 1. Stay on-topic. This is key. If you are pitching something outside of what the reporter is asking, you are wasting your time and theirs. (They may also report you to the higher-ups at HARO, which can result in you getting banned indefinitely.) Even if you think that you have a “unique twist” to offer the journalist which your product or service would complement nicely, it really is not your job to take an editorial position. Stick with the request; respond when appropriate. 2. Provide plenty of direct quotes. Many reporters are on very tight deadlines. By the time you get the HARO request, they may likely only have a few hours to read through e-mails and pick the best leads for their article. If you can provide relevant quotes that can be pulled directly from your e-mail and attributed to you, you exponentially increase the odds of being used as a source. I can’t tell you how many times I have scrambled to find a few extra quotes for an article, and have dug through my inbox to pull quotes directly from e-mails. Many of the sources don’t even know that I’m using them until the day the article runs. If you can position your business as a reliable source and not require a callback for interview, you have a huge advantage over the other businesses that respond. 4. Understand the editing process. In a perfect world, I would link to every business ever mentioned in any of my freelance articles. I would love to spell your name right. I would even like to mention your Twitter and Facebook handles. In reality, however, my article will likely never come back to me once I submit it to my editor. This means that whatever info I get from you, the source, will appear in the final version of the article. Just because it is online doesn’t mean I have the ability to make changes once it publishes. Also, many publications are reluctant to include hyperlinks to businesses due to SEO or partnership concerns. Please avoid contacting the journalist after an article runs to ask if the name of your business can be hyperlinked to your website; most likely the reporter did include it, but it was stripped out in final editing. Also, if you misspell your own business or name in an interview email -- it's your loss. 5. Promote. Promote. Promote. Many online reporters no longer get paid with a simple “$X price per article” fee structure. Some journalists get paid a very modest fee for publication and additional bonuses for page views, re-tweets, and shares. For this reason, you can make it very easy for a reporter to remember and like you by helping to promote those articles that you and your business are mentioned in. (You really should be doing this anyway, right? By promoting the article, you are promoting your business.) Make sure that any e-mails from reporters notifying you to inclusion in their article is replied to promptly; let them know you will gladly re-tweet and share. As a side note, if you are paying a PR company big bucks to promote you and they are not using HARO --- you need a new PR company. Do you have any HARO success stories to share? Let us know in comments! This is brilliant advice, Linsey! Thank you. I love HARO! I've used it to find good sources for articles, as well as been a source, including for TV. HARO has been great! Not just as a source for myself but I have also been able to forward appropriate pieces to my friends in different businesses. The reporters were happy and I was able to help other individuals too. I truly love HARO.